Learn how to get 5 free games to play Space Invaders at BGO Casino. Only today! This offer is no longer available. Click here to discover the new free spins bonus available at BGO. To celebrate the launch of Space Invaders, the new video slots inspired by the classic video game that shaped the childhood of a generation, BGO Casino launched a new time-limited no deposit bonus you don't want to miss. As an email sent by the room at 14:00 on Wednesday, October 12 states: " The new Space Invaders slot game has landed at BGO and to celebrate, The Boss is giving you 5 free spins - no deposit required! HURRY! Get 5 free real money games at Space Invaders - No deposit required! Right now, this bonus appears to be available only for players who already have an account with BGO. If you have one, make sure you check your email (spam folder included) and look for a promotional message sent by bgo Bonus Alerts titled "get five free spins on our new Space Invaders slot - no deposit required. Need an Account? Get 20 Free Spins! Great flash promos like this one are very common at BGO Casino, and that's why we consider it one of the best online casinos in the market today. If you don't have an account at this casino room yet, you are missing out on one of the most powerful gambling experiences ever created. 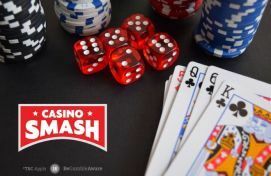 What's even better, is that if you open an account through CasinoSmash today, you can test-drive the platform with 20 free real money spins, no deposit required. You can visit our review of BGO Casino to know more about this offer and about the huge package the room gives away as soon at new players make one deposit – or you can simply head to BGO Casino to get started. Remember: the Space Invaders promotion ends today!